Epilepsy is a complex condition characterized by recurrent seizures or disruptions in the brain’s normal electrical activity. Though most people can lead normal lives, specialized epilepsy treatment is recommended to ensure optimal control of symptoms. Patients with epilepsy can turn to Atlantic Health System Neuroscience's Epilepsy Center at Overlook Medical Center. We’re designated a Level 4 epilepsy center from the National Association of Epilepsy Centers (NAEC), and offer a number of specialized services and advanced treatments. These include cortical mapping, Wada testing and responsive neurostimulation devices (RNS), among others. 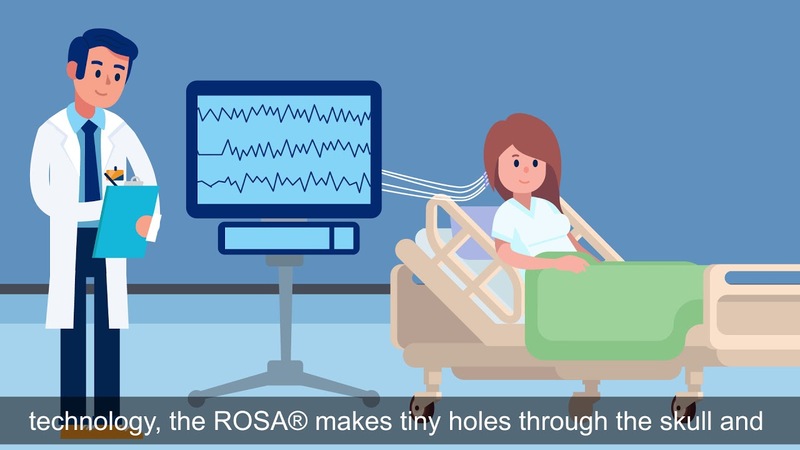 We're also the first center in New Jersey to evaluate epilepsy patients using magnetoencephalography (MEG) – a noninvasive procedure that precisely detects and records the magnetic fields associated with electrical activity in the brain – and the first to perform robotic-assisted stereo-electroencephalography (SEEG) using the ROSA® Brain. Our dedicated medical team includes board-certified, epilepsy fellowship-trained neurologists, epilepsy nurses and nurse practitioners, registrered neurodiagnostic technologists, neurophysiologists, and neuropsychologists. These epilepsy specialists will work with patients and their referring physician to diagnose medical needs and formulate an individualized plan of treatment and follow-up care. Although an epilepsy diagnosis can be made at any age, most patients develop symptoms as adolescents between the ages of 13 and 16. For that reason, we offer pediatric epilepsy monitoring at Goryeb Children’s Hospital's Division of Child Neurology and Developmental Medicine. Our epilepsy specialists collaborate with pediatric neurosurgeons, epileptologists, and other pediatric subspecialists to tailor a treatment plan that’s best for the child. Once these patients reach adulthood, their care is seamlessly transferred to our epilepsy center at Atlantic Neuroscience Institute.